A healthy, functional mouth isn’t just aesthetically pleasing—it’s crucial to your overall oral health. If you’re missing some teeth, or are experiencing a faster rate of tooth decay as you age, you could have problems properly eating and digesting food, maintaining jaw health, and smiling confidently. Fortunately, Clopper’s Mill Dental Care is Germantown’s dentist of choice, and can provide a variety of denture options that can help you retain jaw strength and oral health. Dentures, in the simplest terms, are a replacement set of teeth for your mouth. When no teeth or few teeth are in the mouth, custom-fit dentures use suction to attach themselves to the “ridge” (where your teeth used to be) and the hard palate (the hard part of the roof of your mouth). Because of the saliva in your mouth, the suction between your mouth and your dentures is strong and secure, allowing you to function like you did when you had a full set of teeth. Gives You a Healthy Looking Smile! Clopper’s Mill Dental Care is Germantown’s expert source for dentures, offering a number of options that fit your specific oral health needs, your aesthetic demands, and your budget. With extensive experience and friendly, professional service, the dentists and staff members at Clopper’s Mill Dental Care are ready to help you bring your smile back. 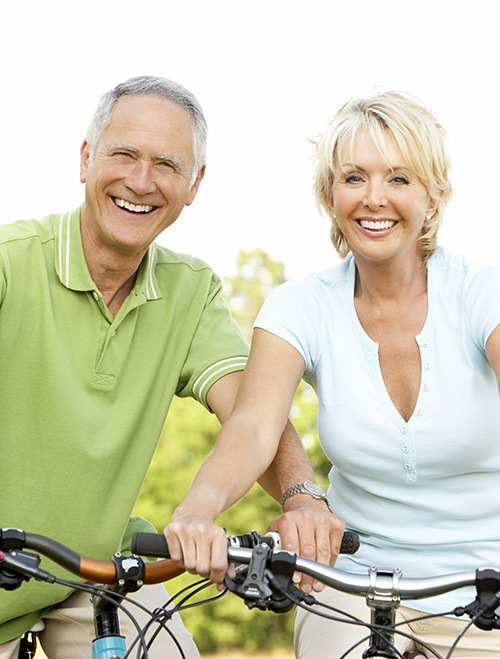 Contact us with any questions about dentures, and schedule an appointment today!